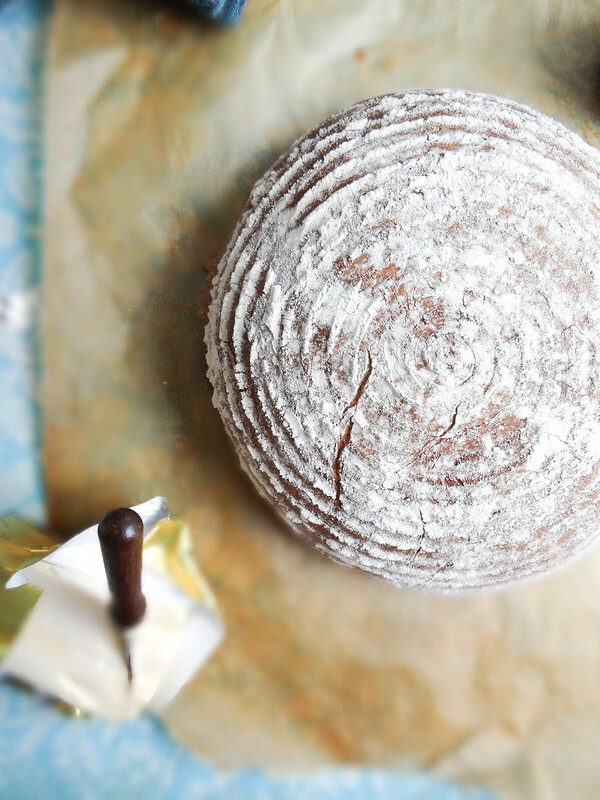 Bread making is super simple, don't let the process intimidate you. 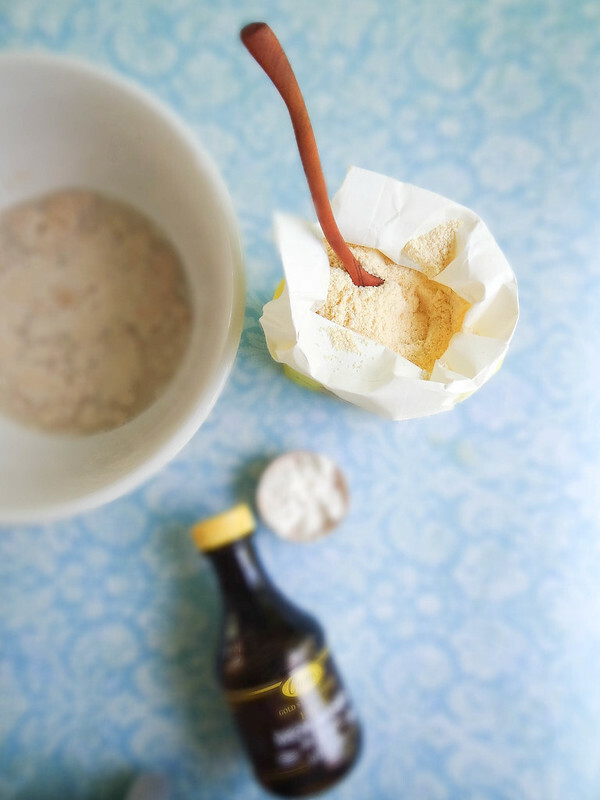 A little yeast, flour + sugar does the trick, from there you can get super creative with different flour combinations, nuts, seeds + herbs. Adding a little sugar helps feed the yeast - honey, agave, maple syrup all do the trick. My go to is typically pure maple syrup. 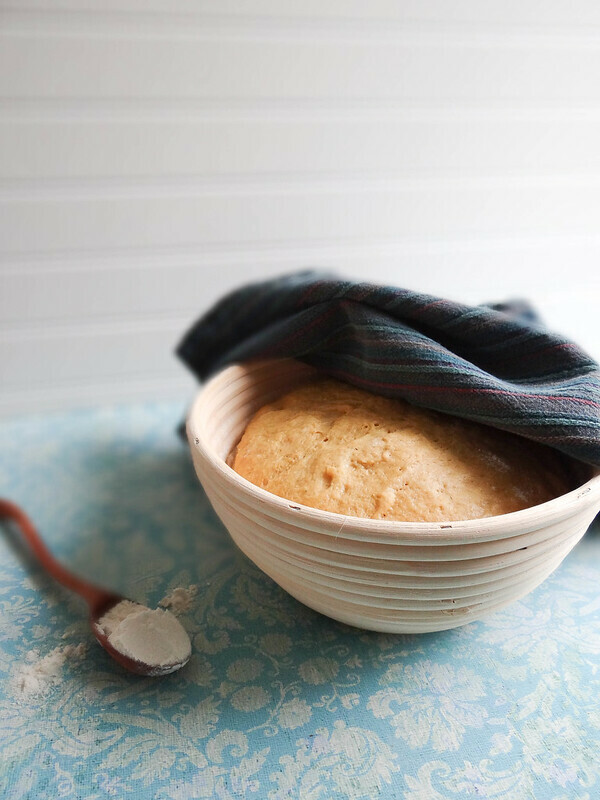 A proofing bowl is not necessary but totally makes you look like a professional baker- they are super cheap and come in a variety of shapes and sizes. 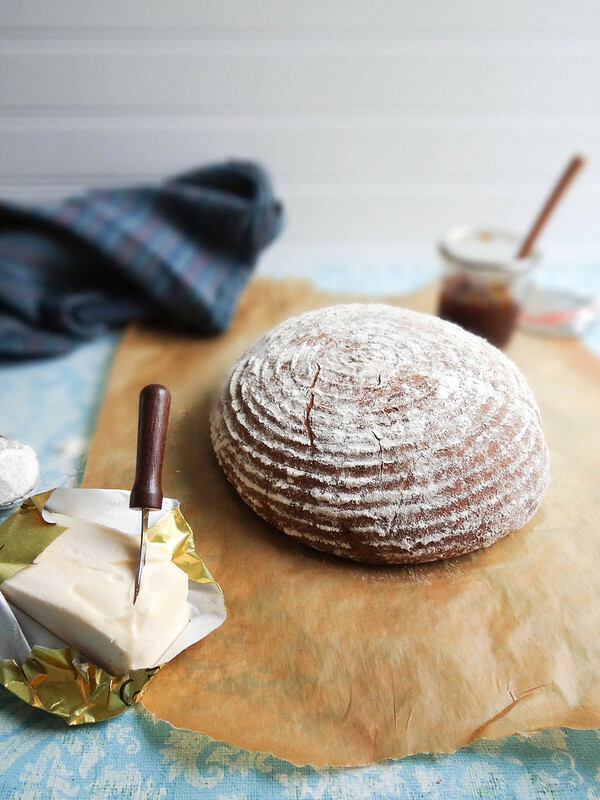 To allow the bread to build a more complex flavor you can totally allow it to rise overnight- if you can't wait that long simply hold off until about double in size. There are so many methods to achieve the crispy texture of the crust - I like pre heating the oven and baking the bread for about 10 minutes at a high temp then lowering for the remaining baking time or high temp with a pan of cold water added once the bread is placed into the oven creating steam. 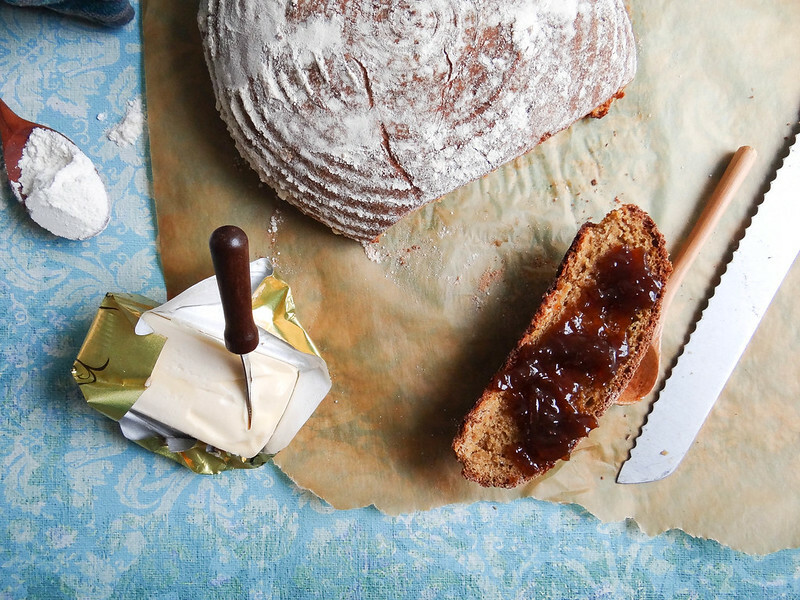 This bread is an absolute must- trust me on this. Annnnnd GUYS, I'm leaving for vacay tomorrow- sooooo excited , look for pics on Instagram + Facbook next week! 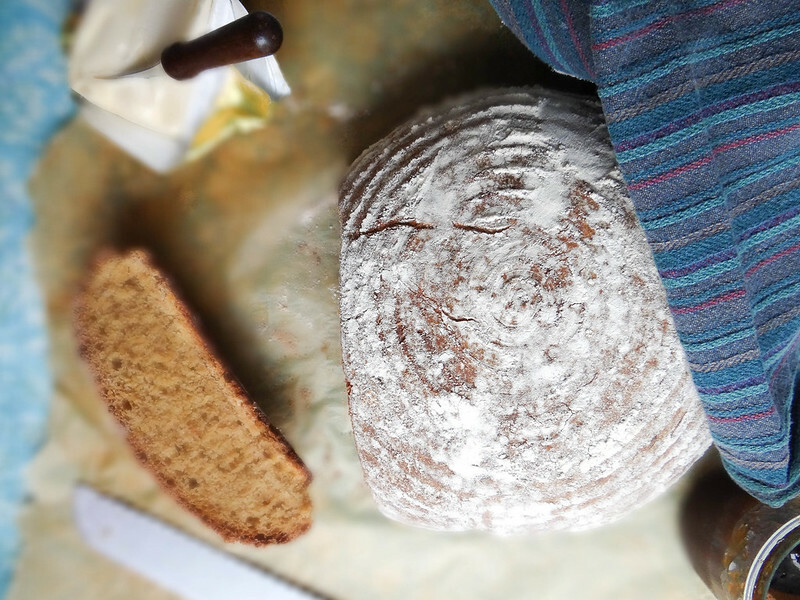 For a little history on the name of this New England Bread- read here! 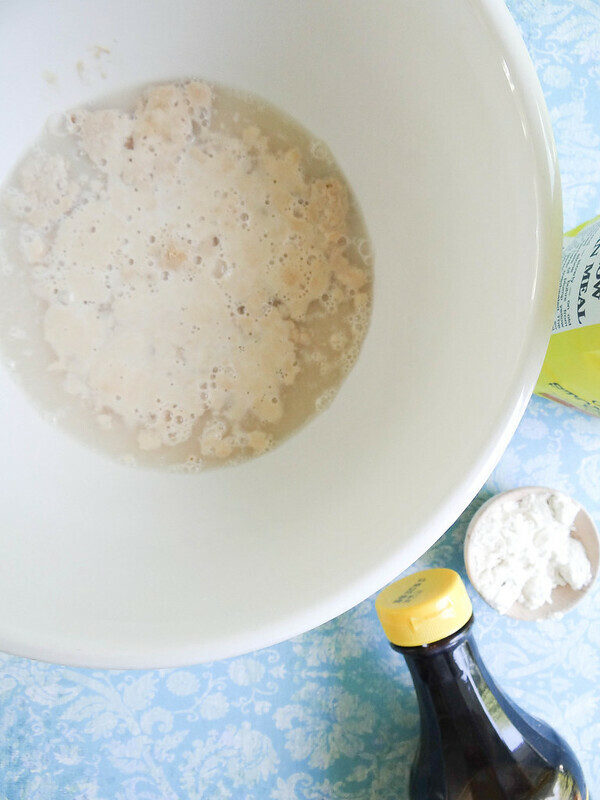 In a large bowl combine warm water through maple syrup- stir to combine and allow to sit until the yeast is bubbly + frothy. With a wooden spoon, stir in cornmeal and 2 cups of flour until a shaggy dough ball begins to form. Dump dough onto a well floured surface. 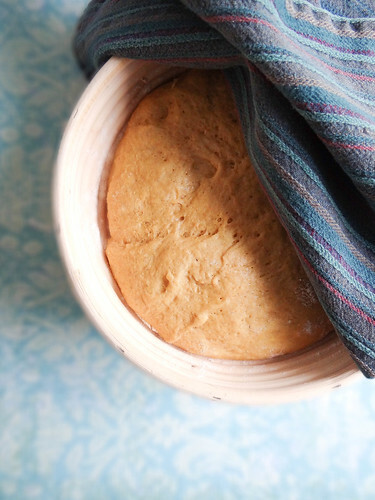 A 1/4 cup at a time, knead in remaining flour until a smooth and elastic dough forms. Place dough ball into a lightly greased bowl- cover and allow to rise in a warm, draft free area until double in size- about 45 minutes. Punch down dough and allow to rest for 10 minutes. 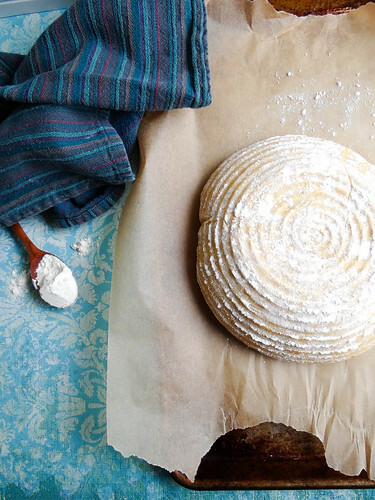 Shape bread into a round or oblong and place on a baking sheet lined with parchment or proofing bowl. Lightly dust top of loaf with flour + cover with plastic wrap. Allow to rise until double in size. During the second rise, pre heat oven to 425 degrees. Once bread has risen, gently turn dough onto a parchment lined baking sheet if it is not on one already. At this point you can use a sharp knife to slash the top of the loaf. Bake for 10 minutes then reduce the oven temp to 350 degrees and continue baking for an additional 15-20 minutes. To check for doneness, turn loaf on its side and tap bottom of loaf- if it sounds hollow it is done. Remove from oven and allow to cool prior to slicing. Serve with your favorite jam + enjoy! 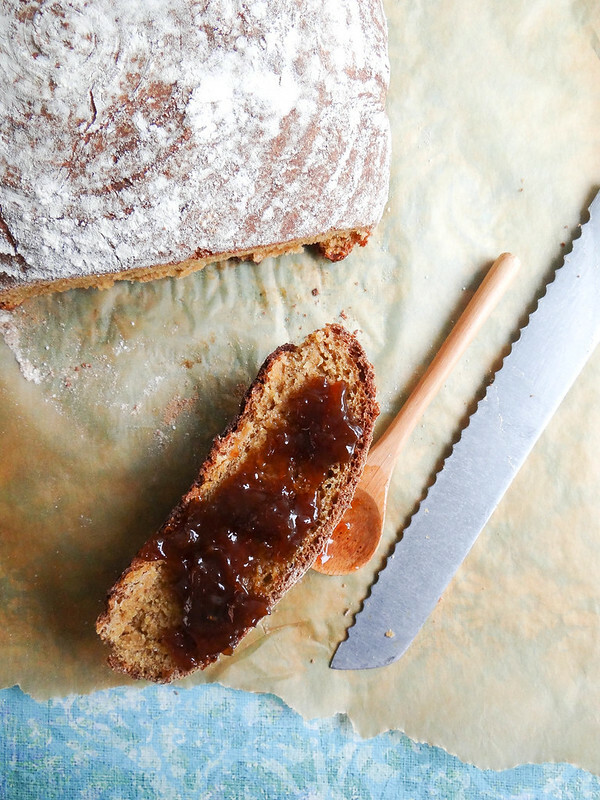 This is such a lovely, hearty bread! I love that your uncle had a bakery, how lucky for you! I grew up eating anadama bread from the loaf and ladle in Exeter, NH! Still so sad they've closed their doors. Thanks for this recipe!!! What beautiful bread! I can see why your mom would go out of her way for a loaf. Your version looks so homey and delicious! Have so much fun on vacation lady! That sounds amazing - I'm definitely going to try making a loaf. When you say you add a pan of cold water to help get that crust right, do you mean you put the pan directly into the oven? First time making this and it turned out great! I used coarse cornmeal because that’s what I had on hand. It makes a nice texture, not too gritty at all. 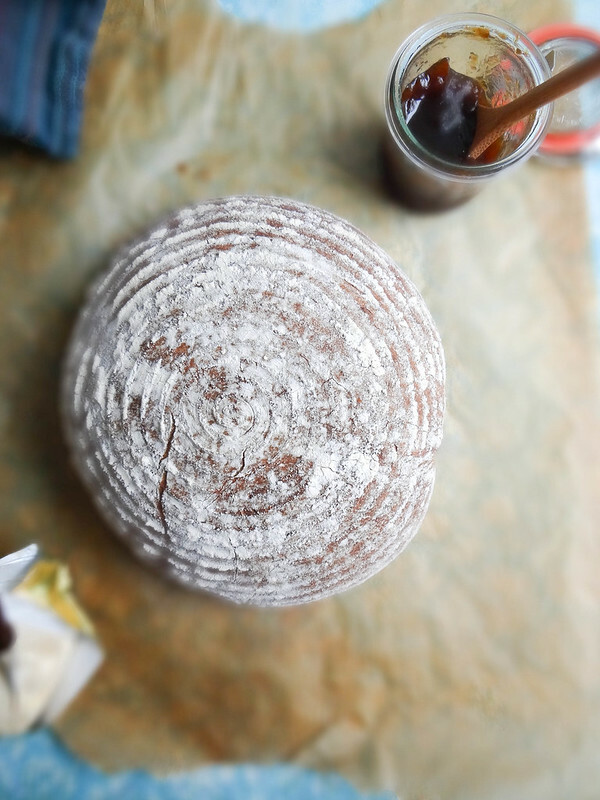 This is a lovely rustic bread.